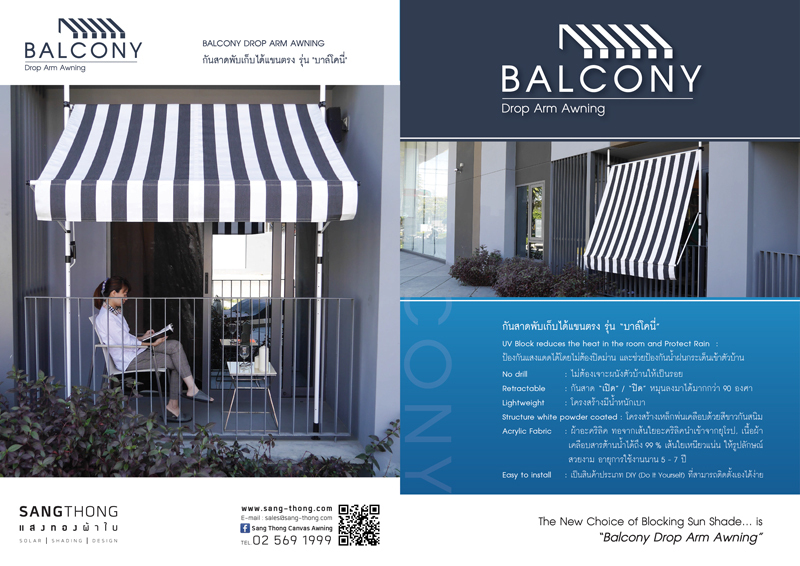 Not only does balcony drop arm awning help to protect you from sun light without having to close your curtains, it also helps to protect sun light and rain from entering your house. 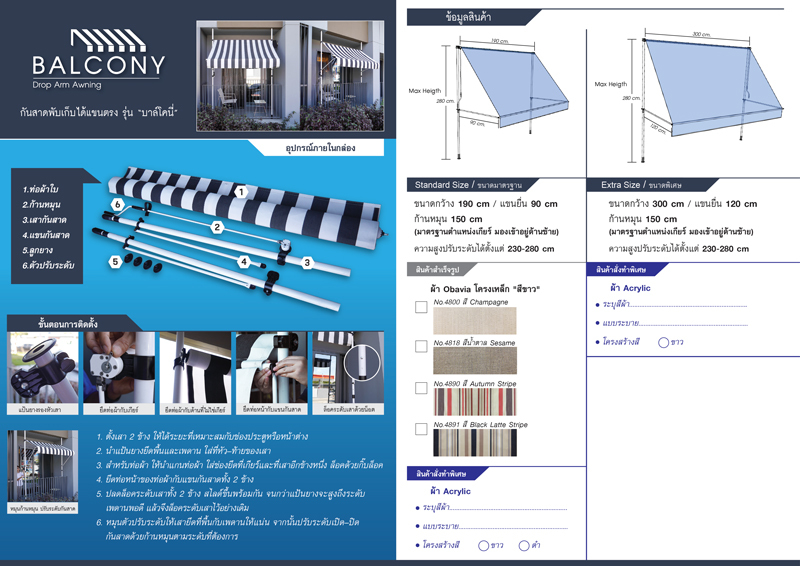 -Awning open and close in 90 degree angle. It can be dropped down to almost vertical. -Made from acrylic fabric imported from Europe. Fabric is durable with water, UV, and mold resistance. Life span of 5-7 years.